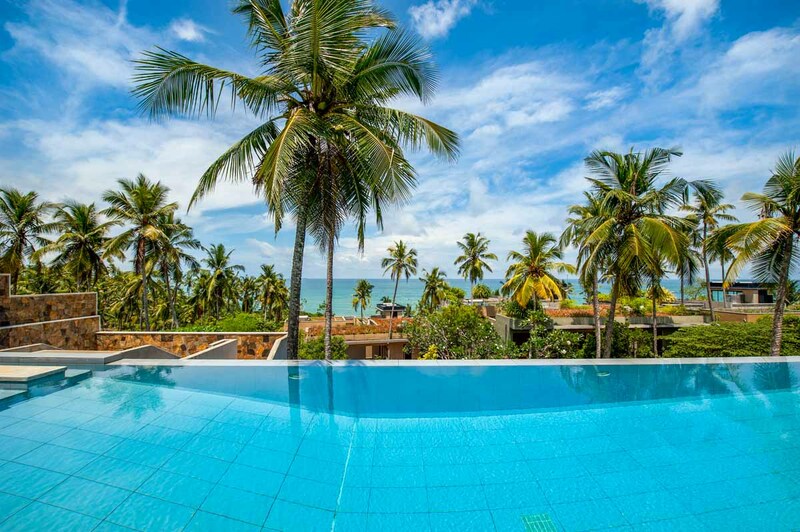 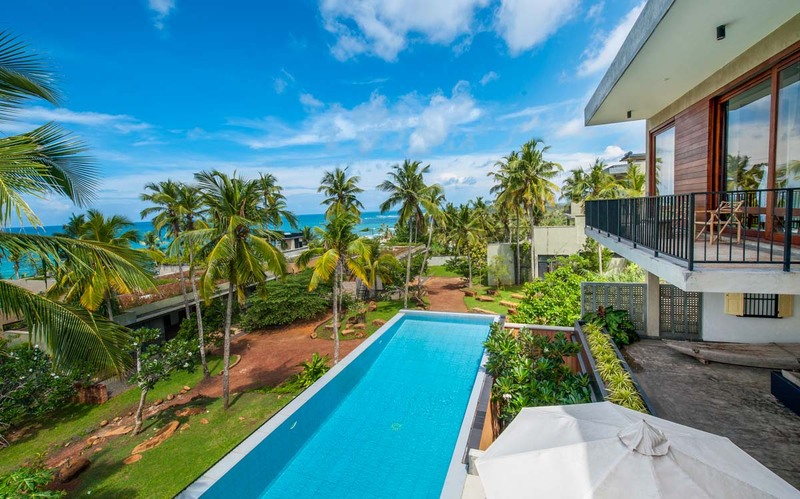 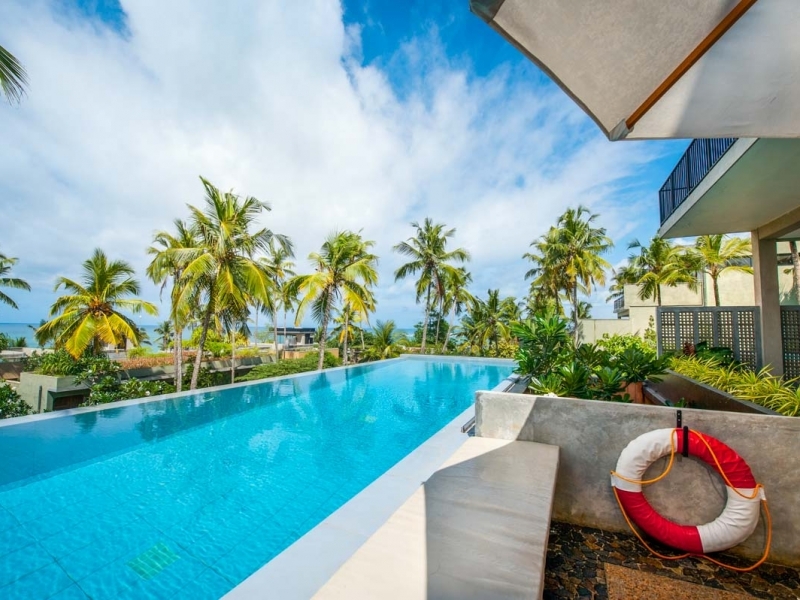 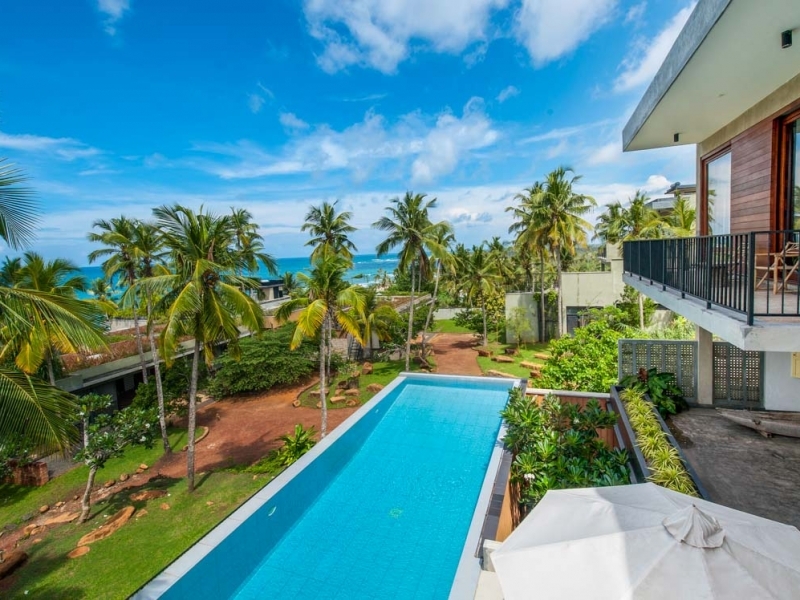 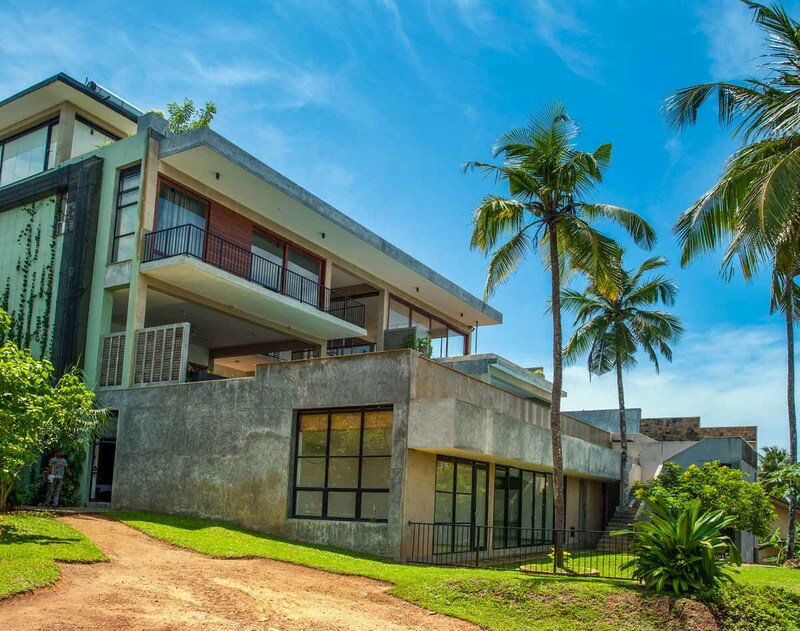 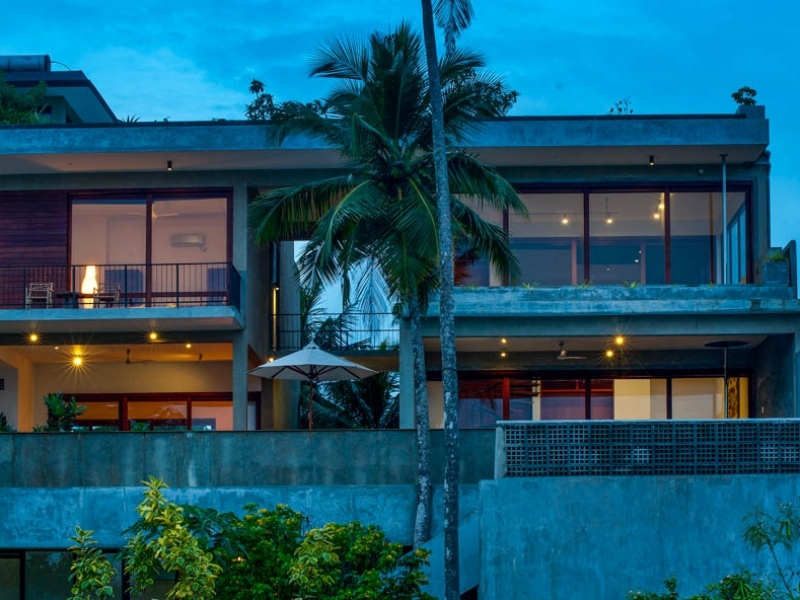 Villa Salina is part of a six-villa development, majestically claiming its own in a three-storey structure overlooking the remarkable Indian Ocean on the shores of Sri Lanka. 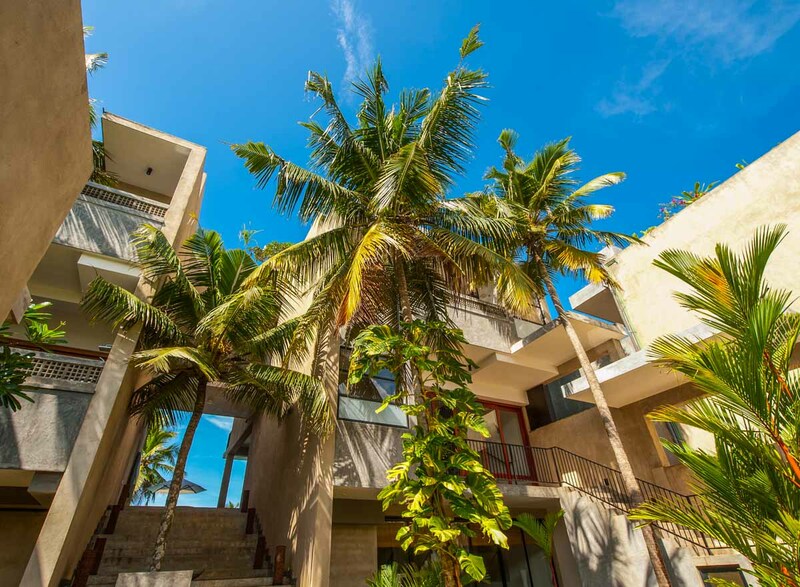 The beautiful property is marked by lush tropical foliage, towering palm trees, and a stunning infinity-edge swimming pool. 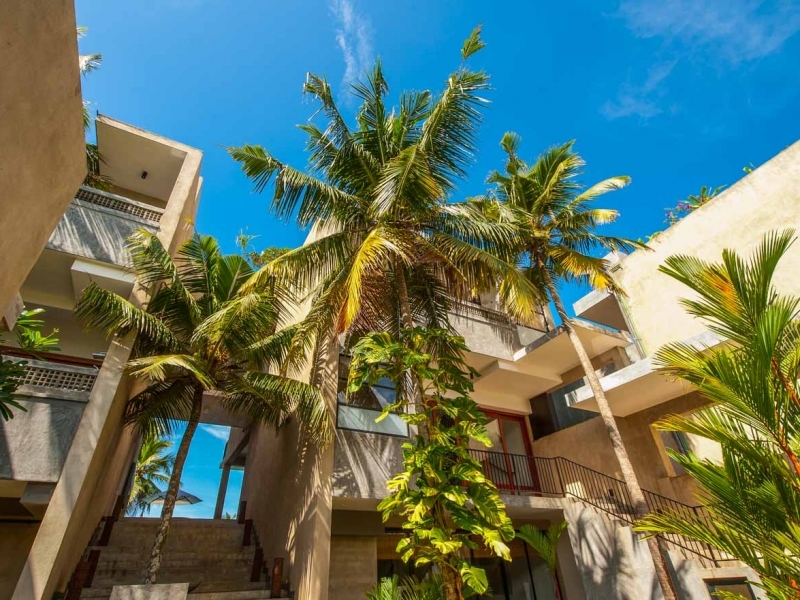 A delightful 3-tiered design that has earned great acclaim, Villa Salina boasts decadent interiors that look out onto its own private stretch of beach. 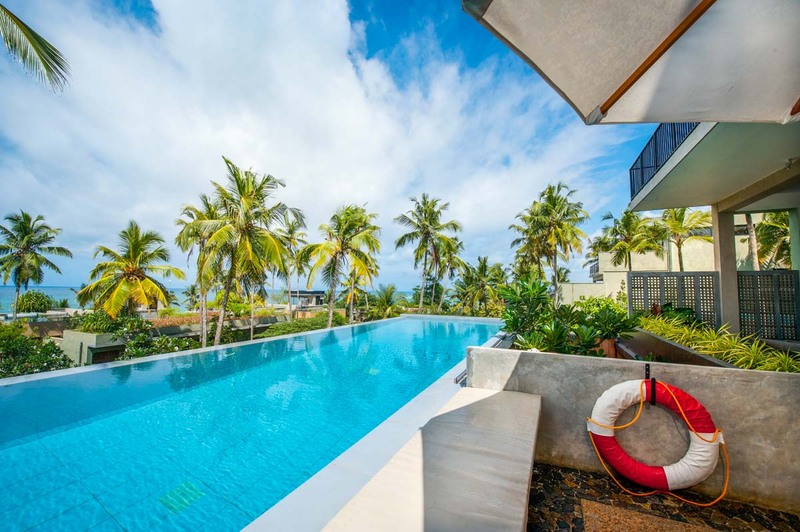 With 4 distinct living spaces, a first-floor infinity pool, and a magnificent roof-top balcony, guests need do little more than select their spot for restful repose. 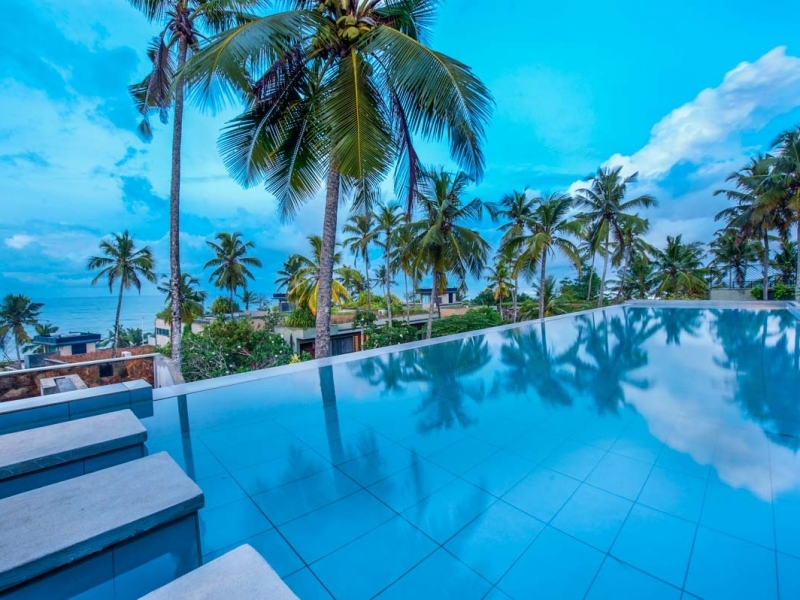 Few properties enjoy 360-degree panoramas but, from the lofty heights of the terrace, elevate yourself into the heavens and admire the spectrum of colors that abound from all angles throughout halcyon days. 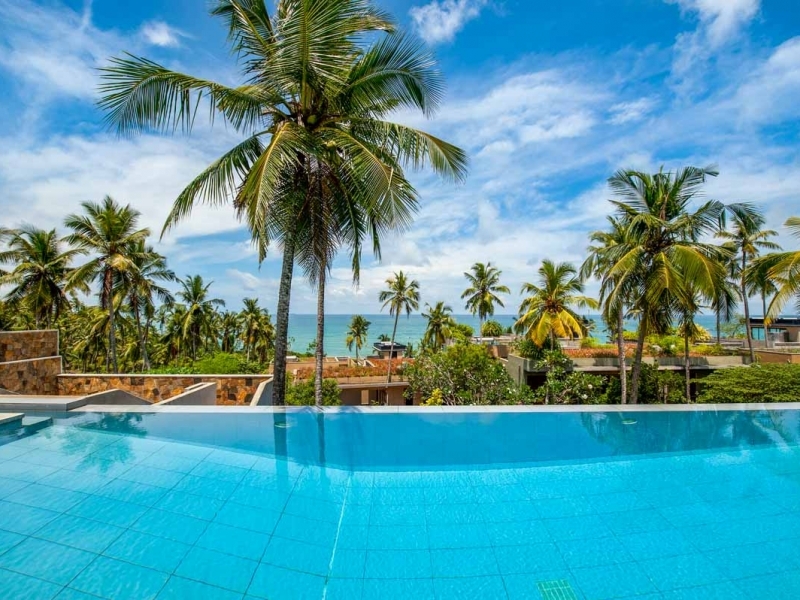 Direct beach access completes the picture-perfection and – whilst you will struggle to capture the beauty of the setting sun on camera – memories will live on for eternity. 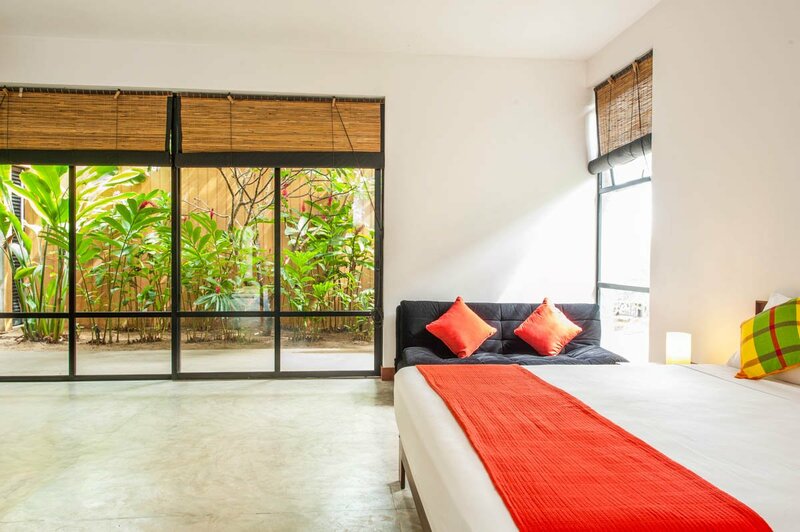 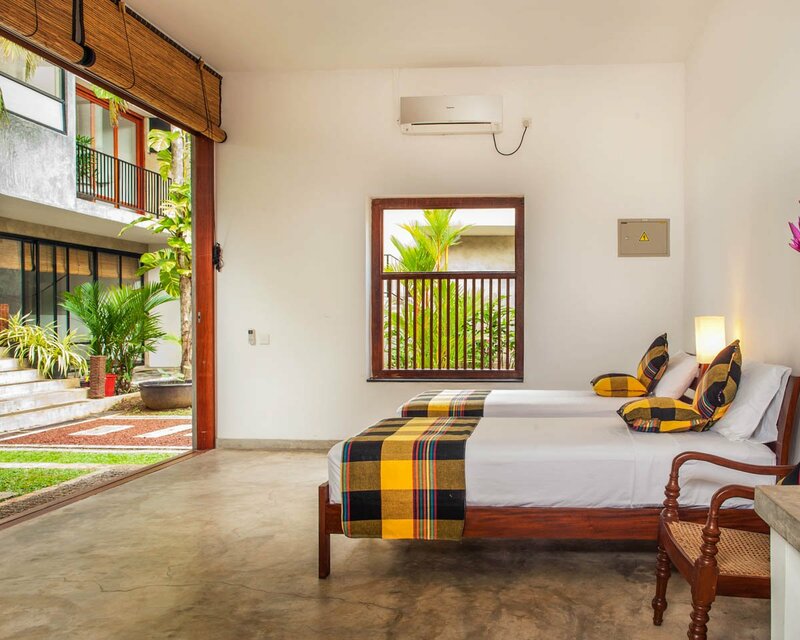 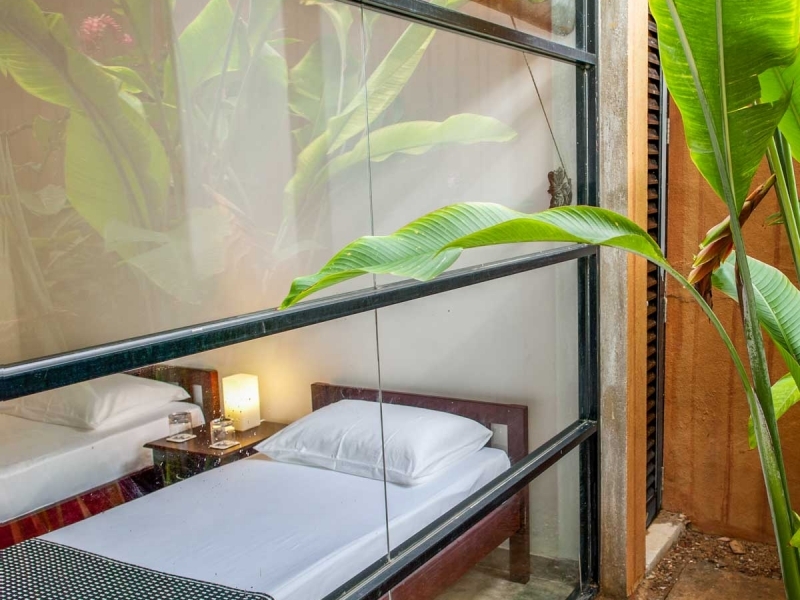 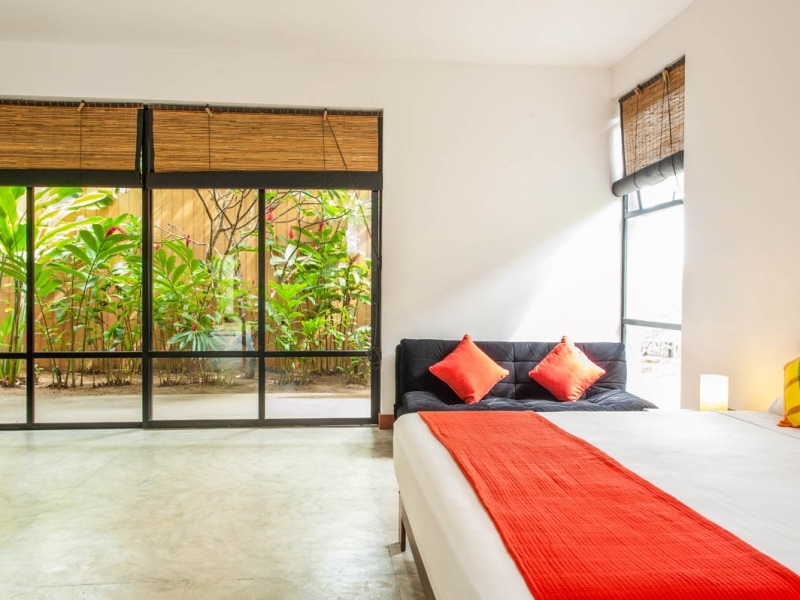 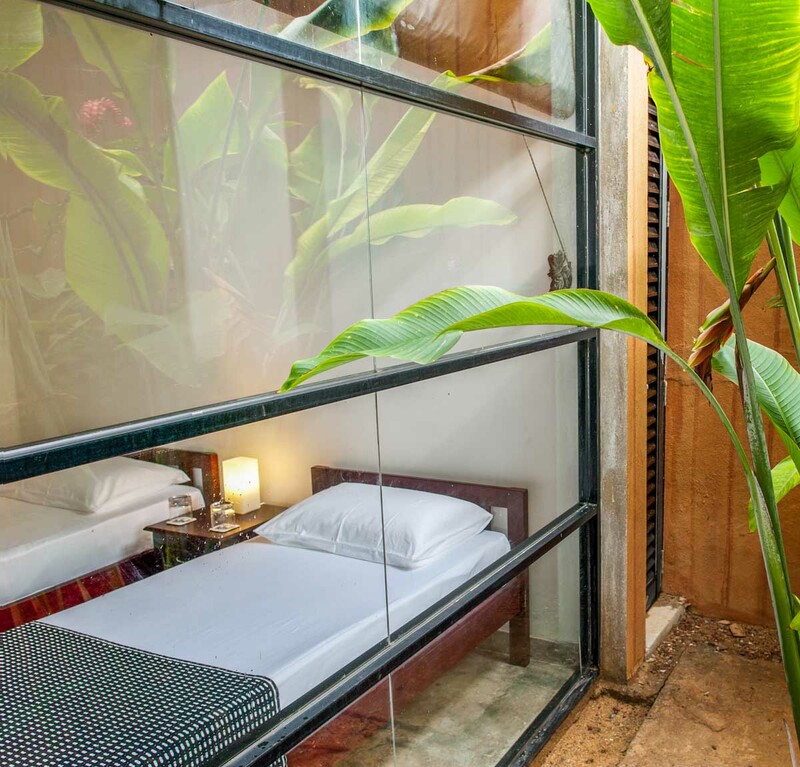 The master bedroom is located on the second floor and is furnished with a king-sized bed and is air-conditioned. 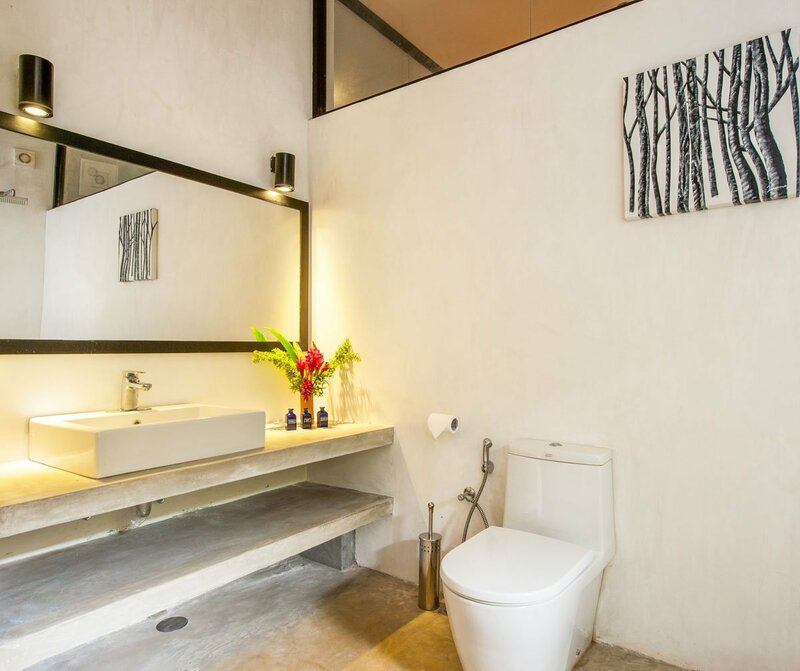 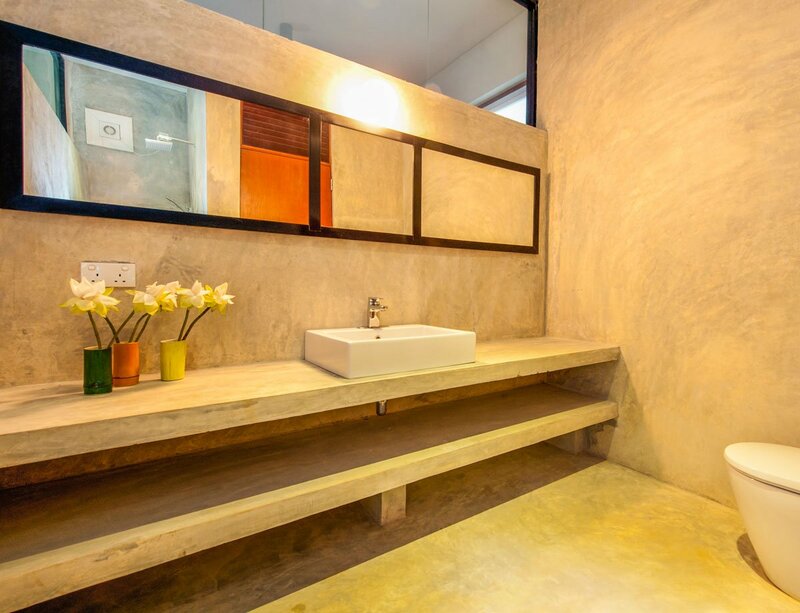 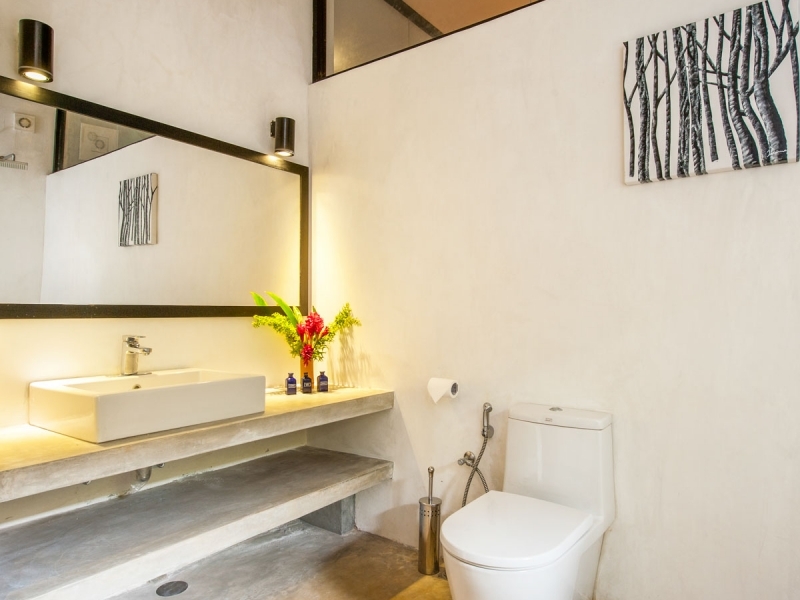 It has an en-suite bathroom with both indoor and outdoor facilities. 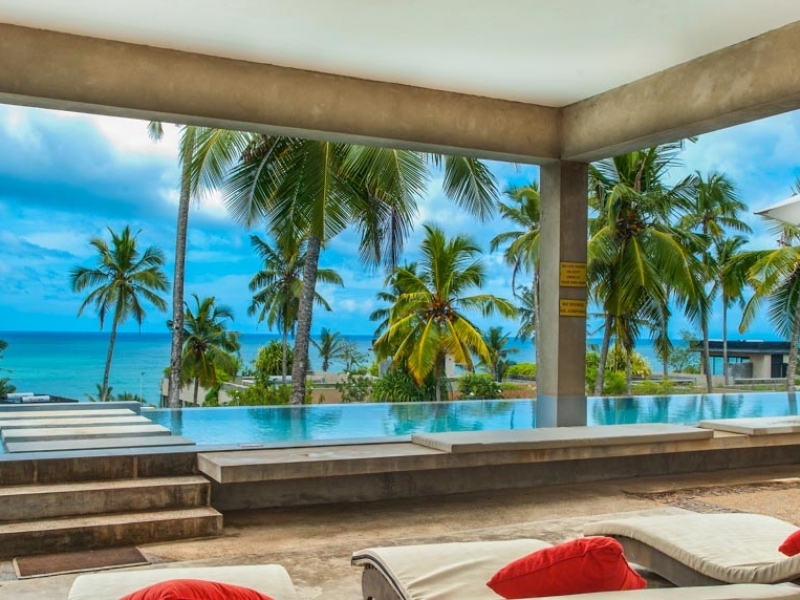 The private terrace offers a stunning view of the ocean. 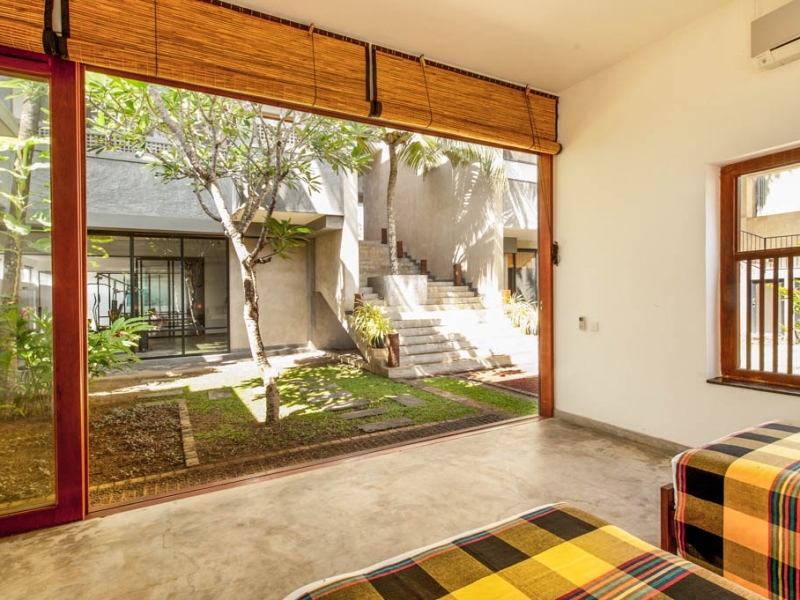 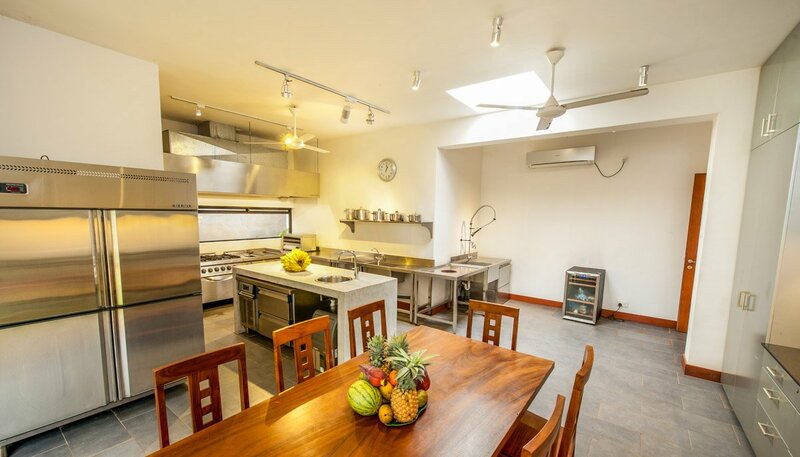 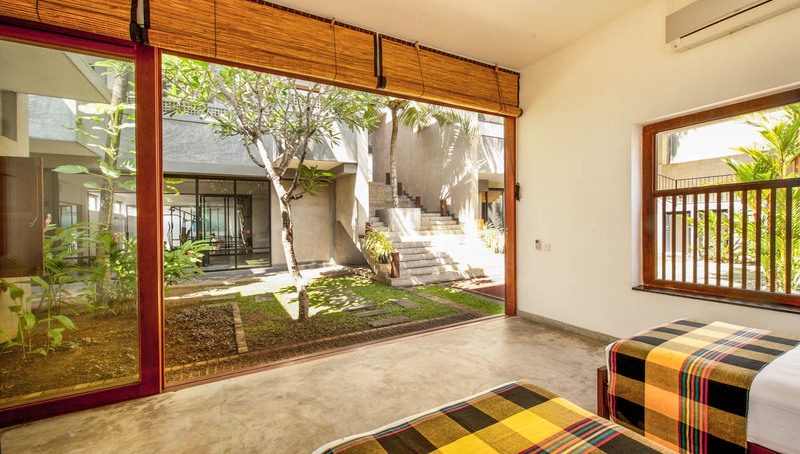 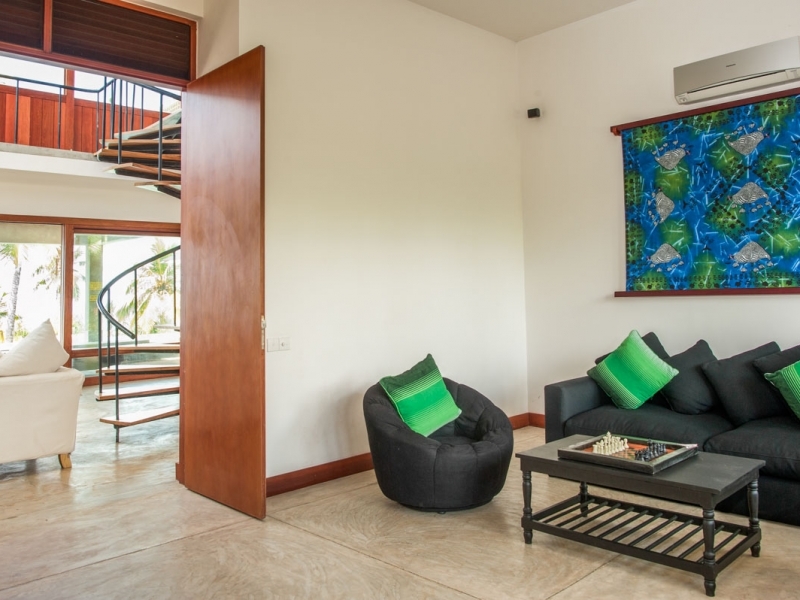 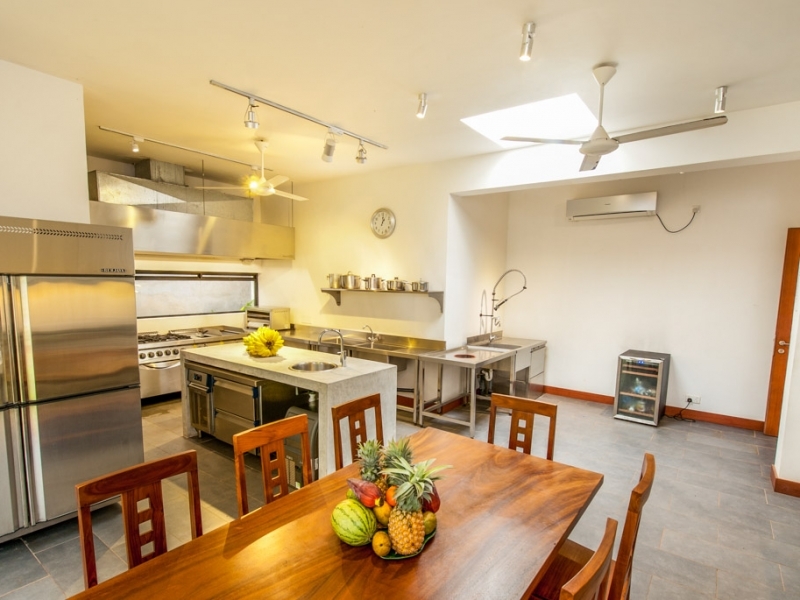 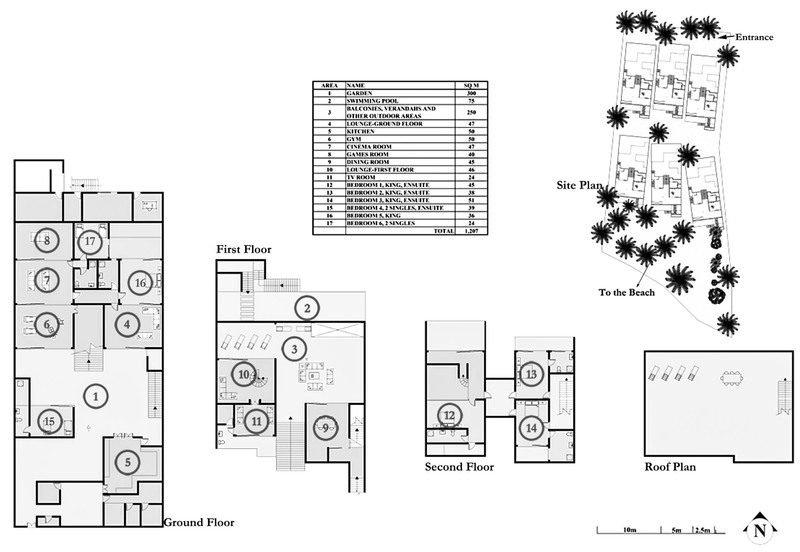 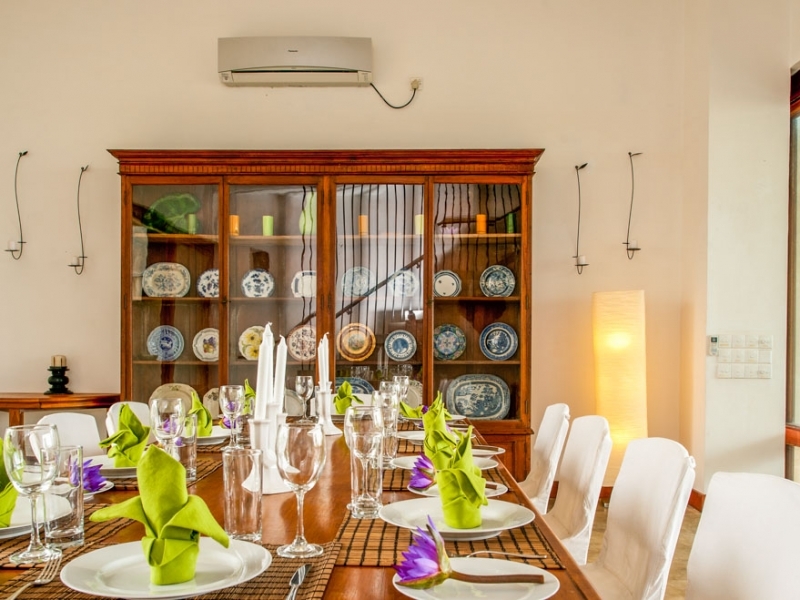 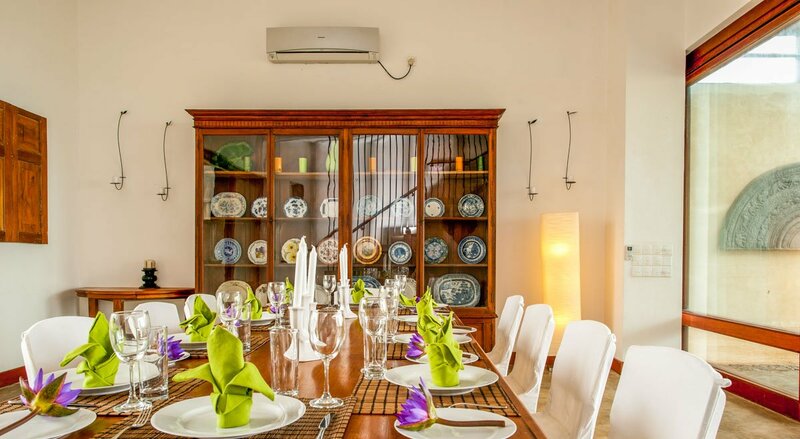 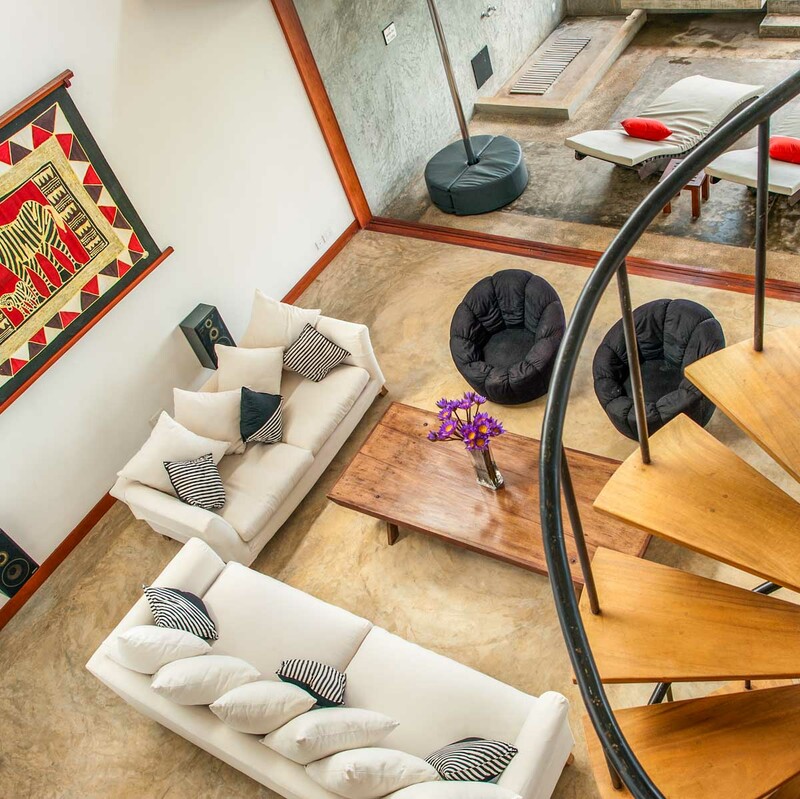 The other 5 bedrooms at Villa Salina are located on the second and ground floor. 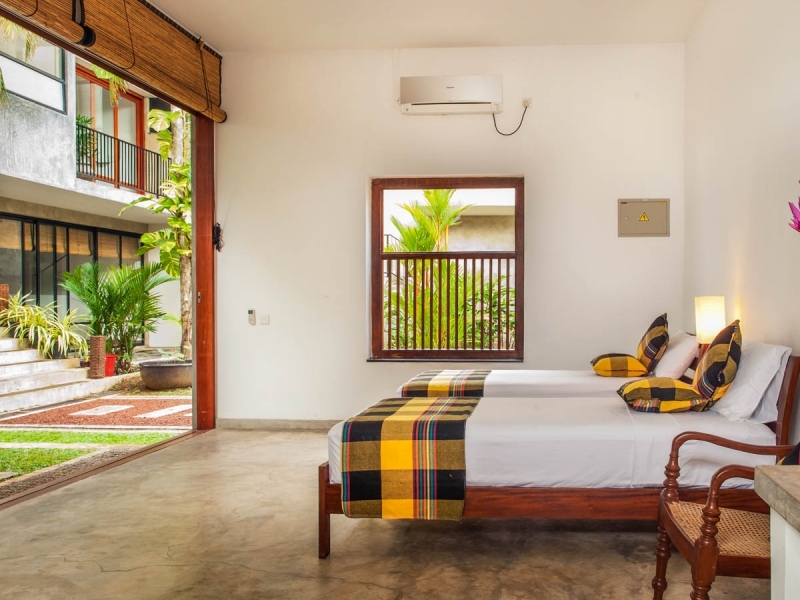 While three of the bedrooms are furnished with king-sized beds, the last two feature twin beds, more suited towards children. 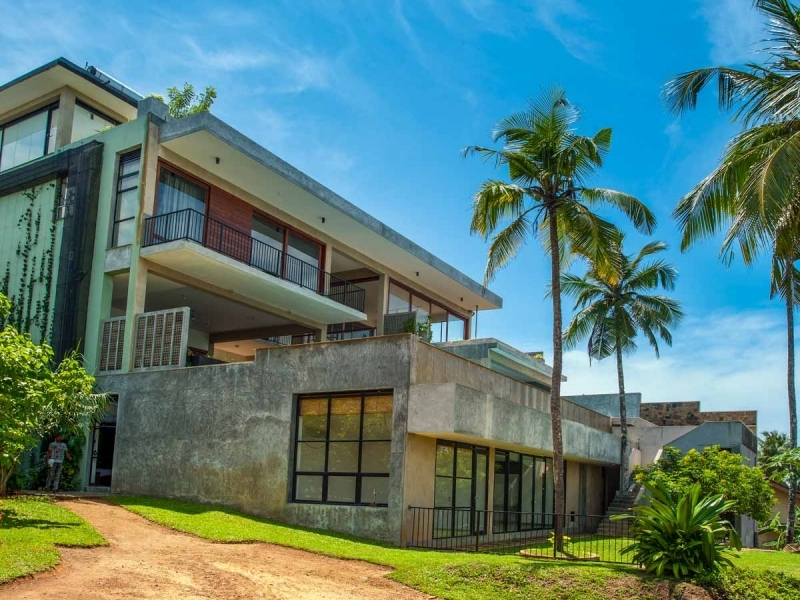 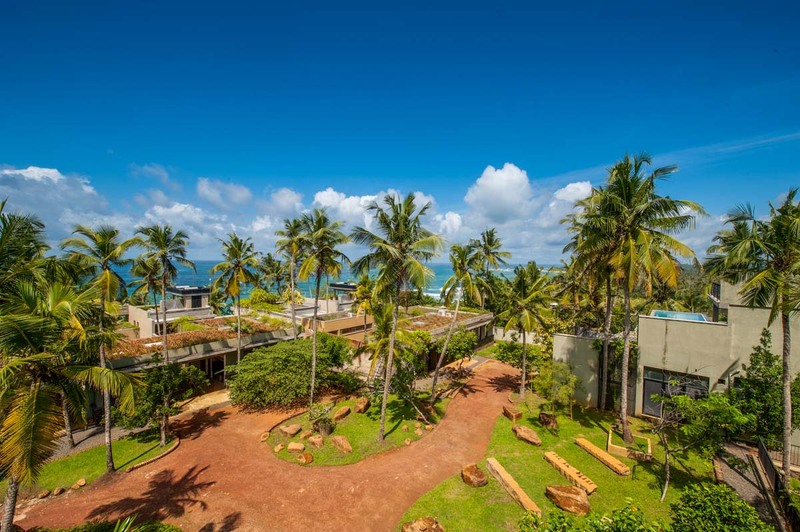 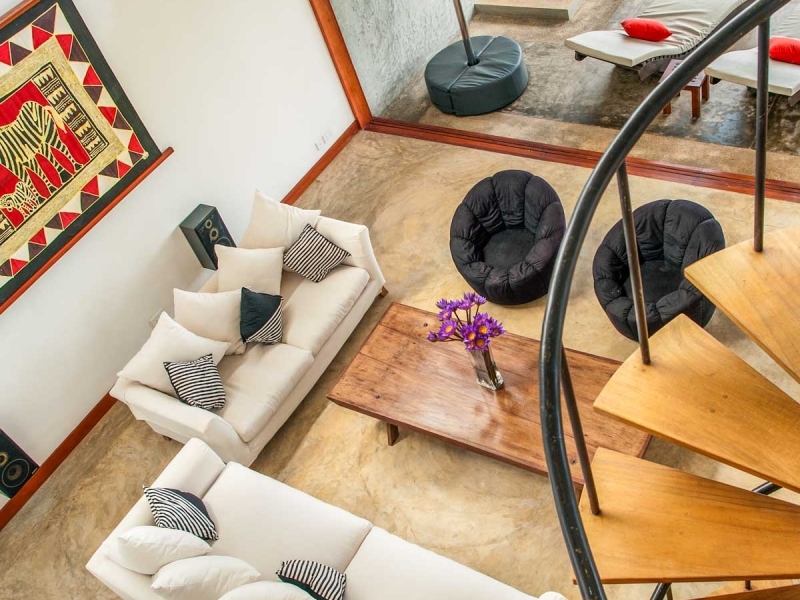 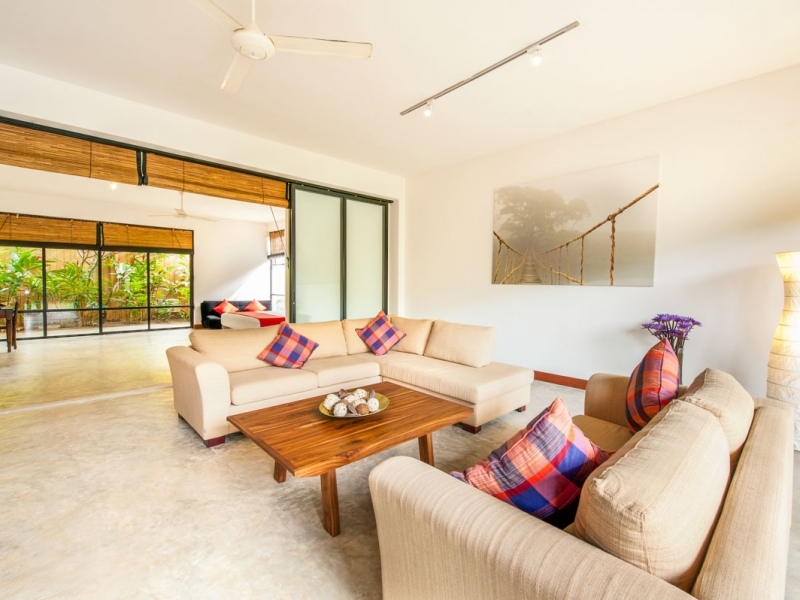 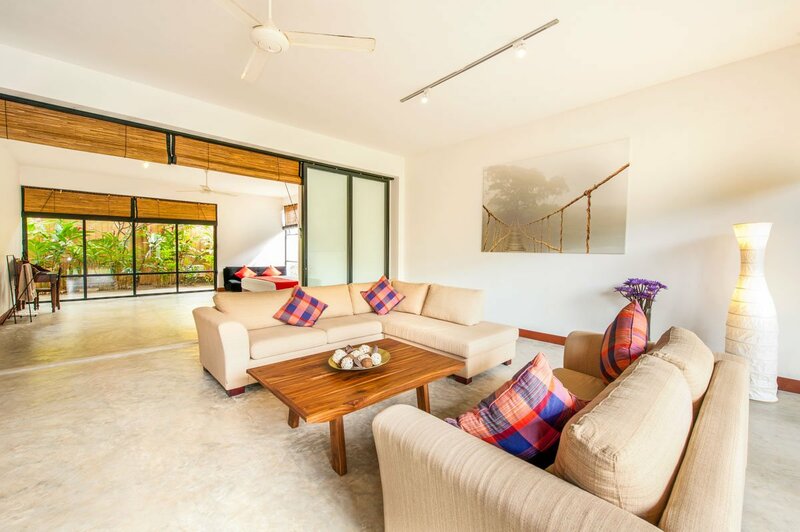 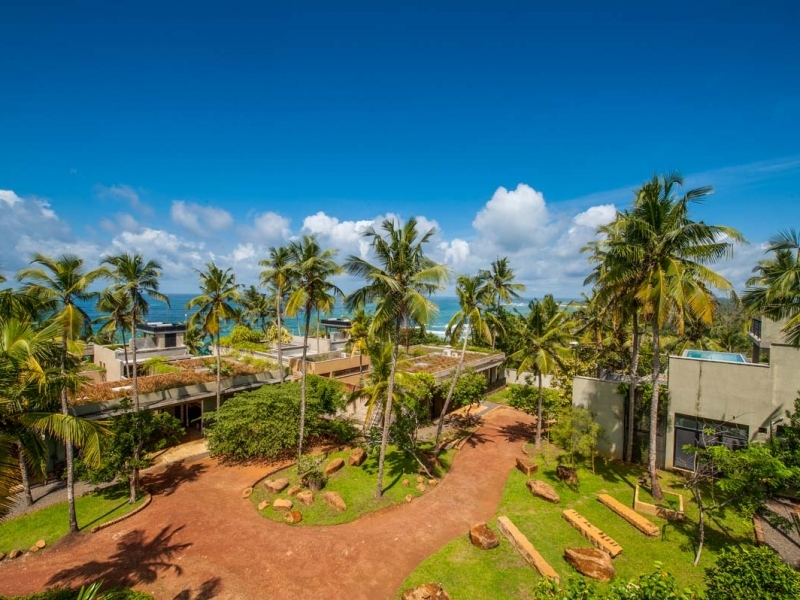 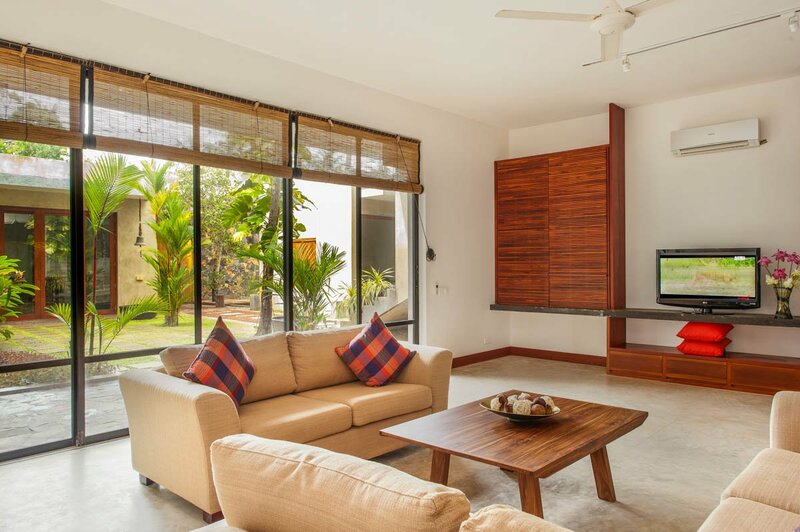 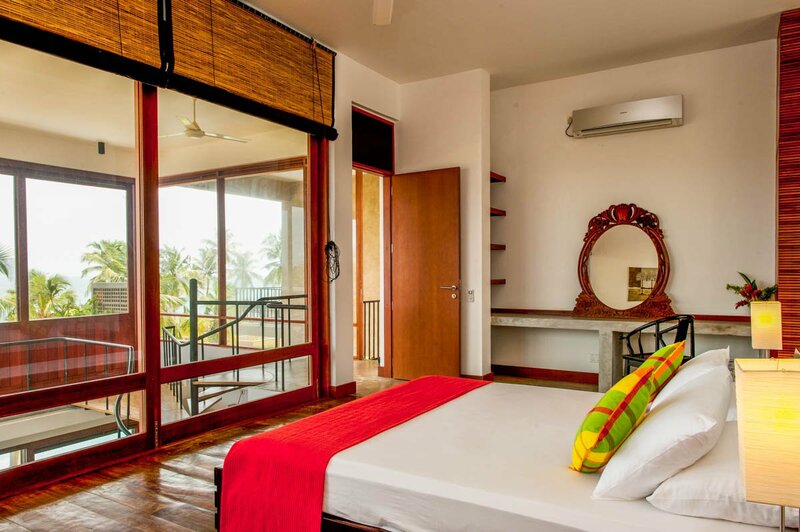 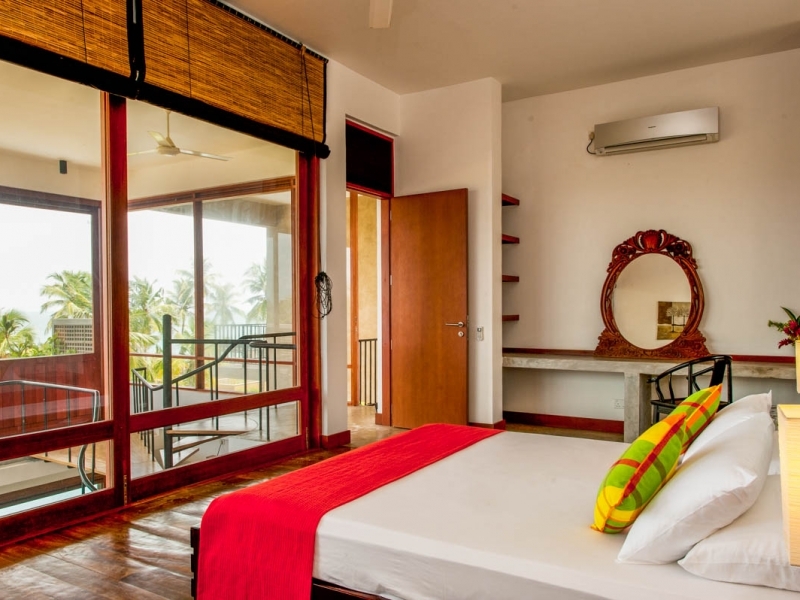 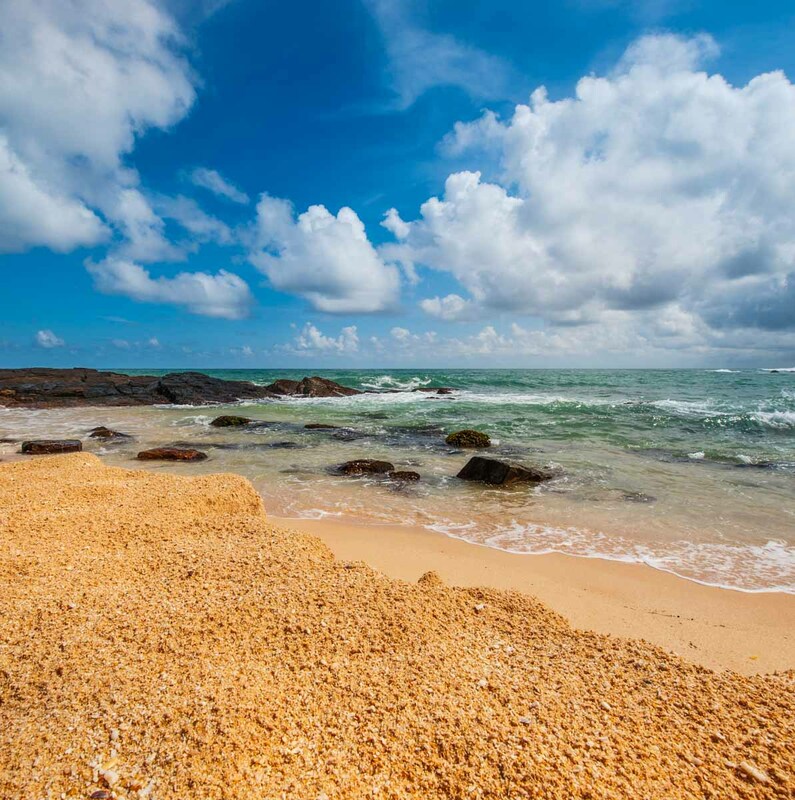 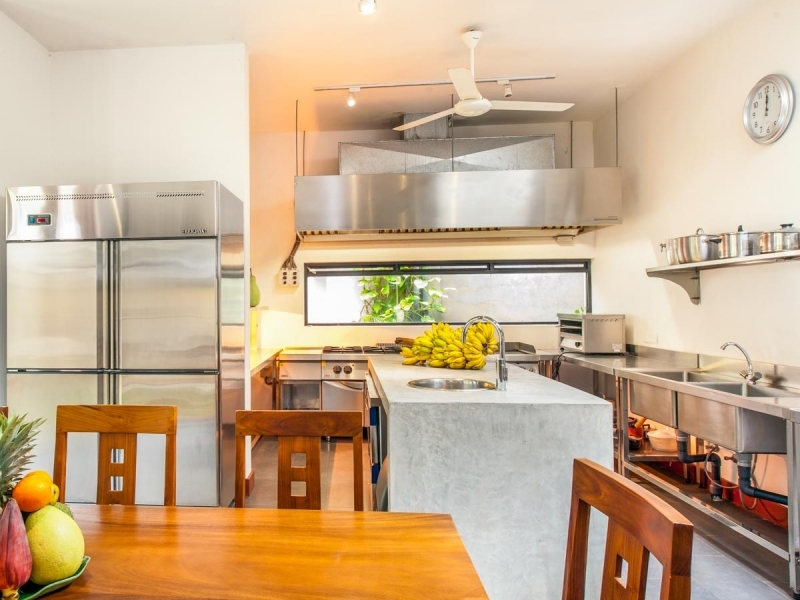 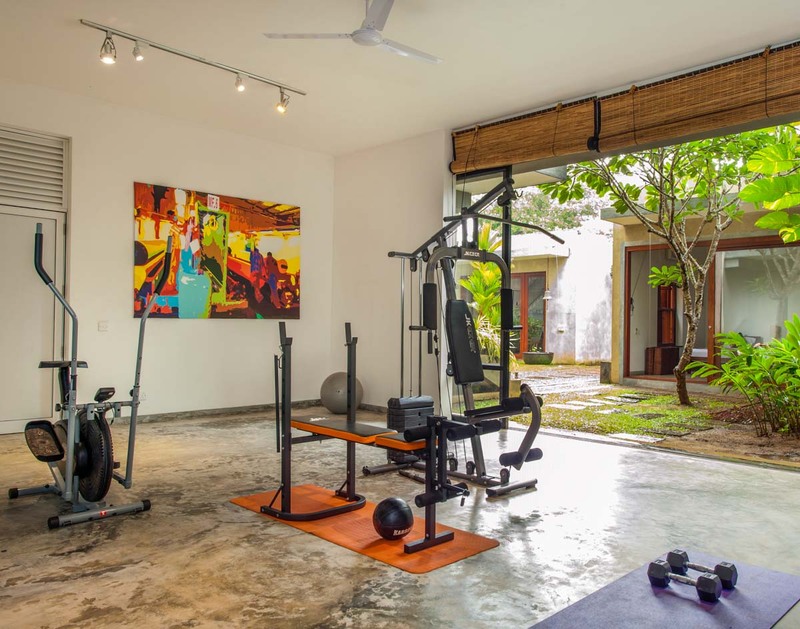 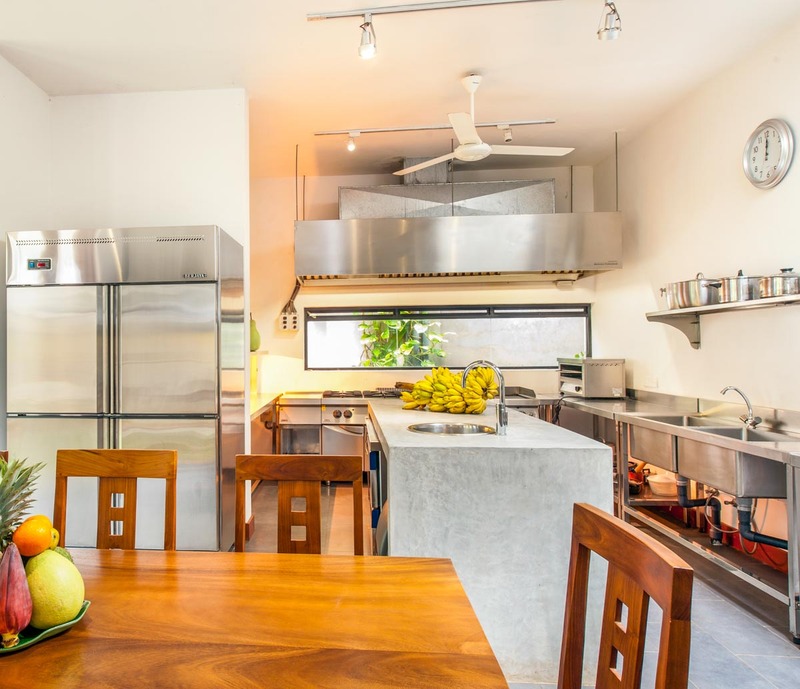 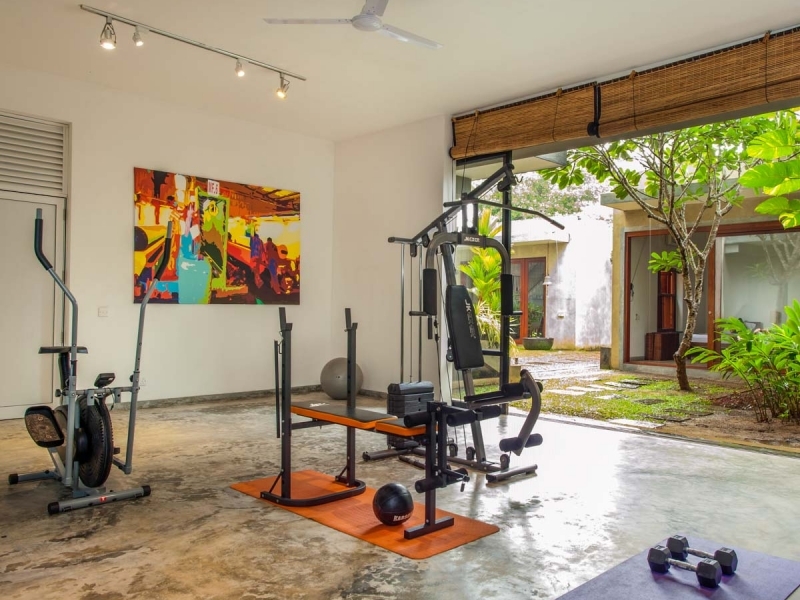 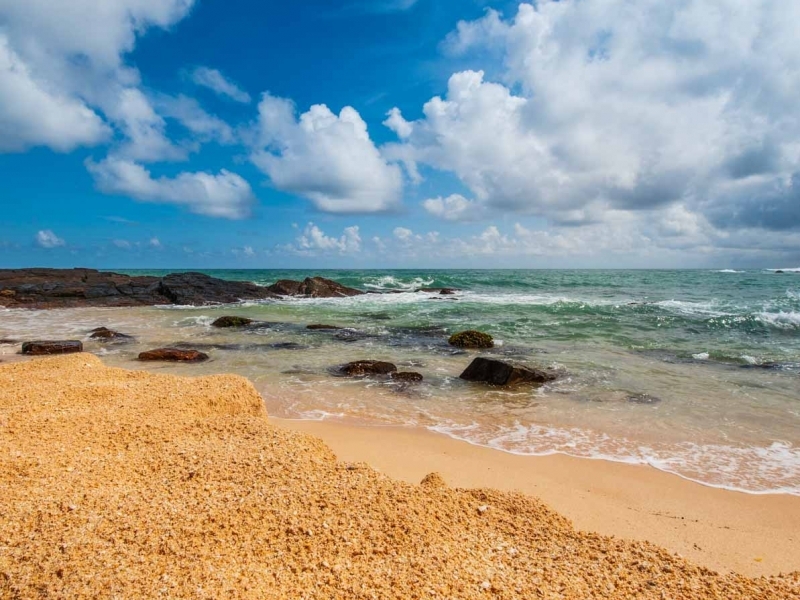 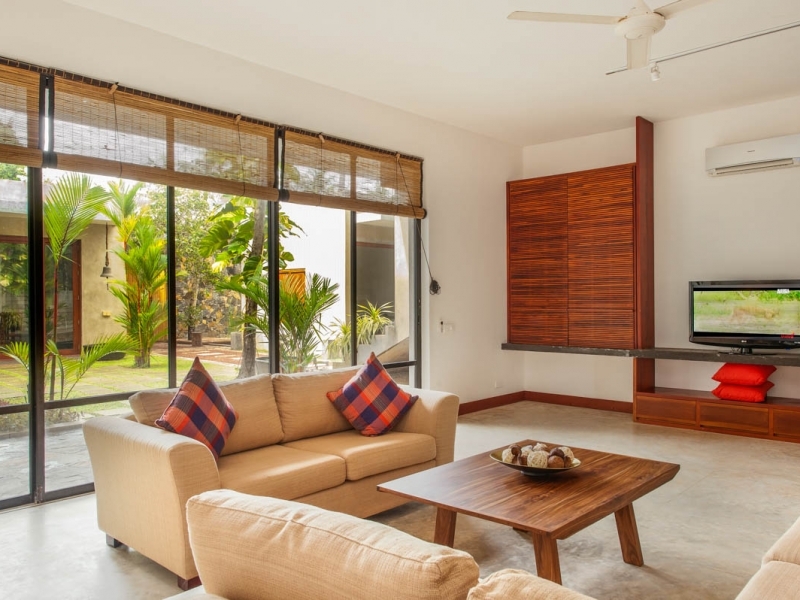 Situated between Mirissa and Matara, and with its own private access to a secluded beach, there are few more desirable locations on this paradisiacal island. 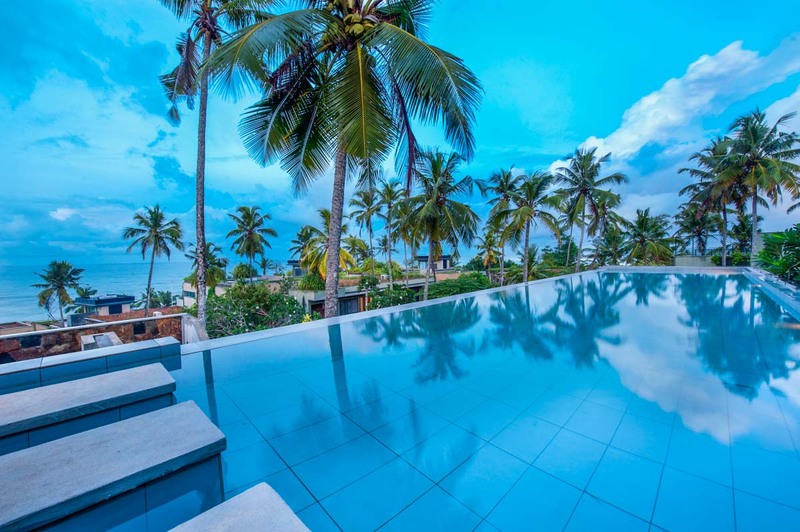 Peruse the surrounds from the giddy heights of the roof terrace, and plot your next steps on the southern tip of Sri Lanka. 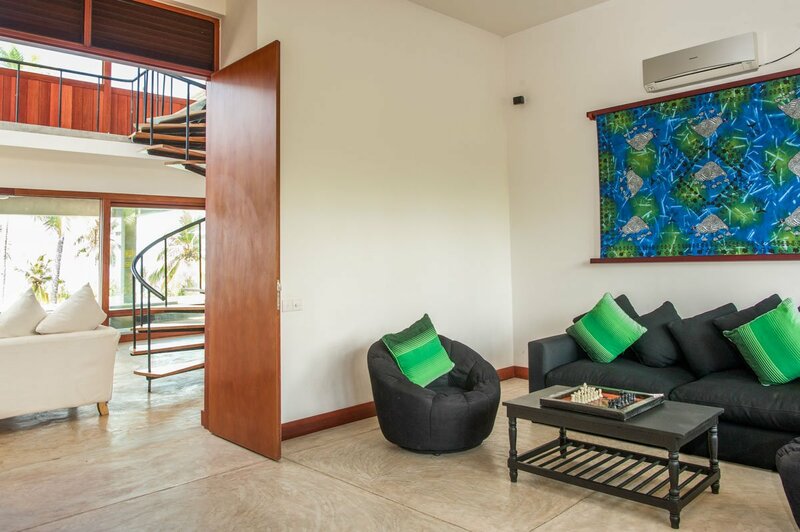 The airport is only 2 hours away, so families can rejoice at the relative ease of transfers.